As far I know the history, The British Empires implemented and followed this policy, not just in sub continent but almost everywhere they existed, eventually it did not worked very well on long term due to which they lost almost from all the corners of the world. Nevertheless, thou Britisher are not ruling the world as before but still this formula is handy and lethal against any developing nation specially. Pakistan is one the victim where politics is being done over this formula, Back in mid 90’s, Karachi Army operation against Political Party MQM was blamed for separating Sindh province into two, by forming Jinnah pur, at that time Army took action and yet was it true or just an accusation, MQM leadership and Intelligence Agency must be knowing the exact facts. 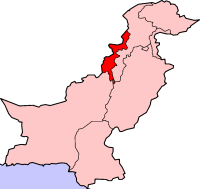 In Present Government Zardari’s League PPP, after 4 years being in power now they have came up with an issue which been there so several decades ” Sikraiki Province”, The South Punjab which been ignored, PPP Claims to bring this dream to reality by separating Punjab into two, The 76 Percent Population of Pakistan is from this province. Where as Hazara People, In KPK are demanding the same their own Province, mean while the issue of Baluchistan is still untouched, the most ignored, Biggest Province of Pakistan. Baluchistan Liberal Army is against Government of Pakistan BLA also supports SLA ” Sindhu Desh Liberal Army ” which most the people are not aware of, the one which is in favor of Sindhi People. Just at this moment, while South Punjab issue is hot and Government may take steps forward to give identity to Siraiki People, it will spark the fire to Hazara People for their own Province ( Hazara Province ). If Government did not initiate and form that province, for Punjab Province another threat which is Potohar Province, There was a time that Christian minority in Pakistan raised their voice for their own province, unfortunately their Leader was assigned and story was buried. Pakistan is already facing challenges which seems Mission Impossible, hike of Corruption and misgoverns, Can Pakistan afford to two new Provinces or should I say three? This Divide and Rule formula failed in the past, instead of resolving the issues on administrative level, by dividing Pakistani’s will not get any comfort but instead hatred for each other, Politics is Violent and unfair, Judicial Law exist but does not work where it is needed, Law protectors ” Police ” is Cancer, I openly say, Britisher’s went and gifted us this 1846 Constabulary System, In my life I have never seen Pakistan in better shape, Karachi City Peacful for a month, Business and Growth Expending,Industrial development and Education Health Improvement, Let’s just be honest, Governments been cruel corrupt, what the hell is wrong with IMF and World Bank, why they been supporting and approving wrong one after another? If the system is corrupt in Pakistan and funds are not being used for the purpose they are allocated than why IMF issues them again, I haven’t seen any good. 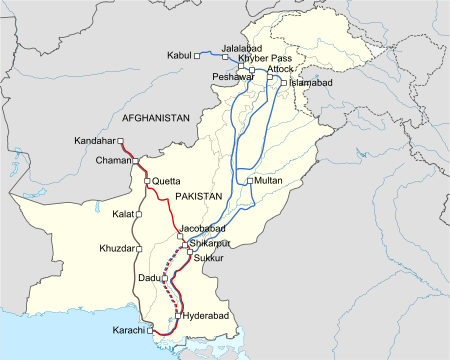 Such thing cannot continue for a long, if such steps were taken by Government of Pakistan, Dividing Provinces and making new ones than Pakistani People will Remember once they had a country Islamic Republic Of Pakistan, which fortunate or unfortunately they lost just because languages mattered more than being Pakistani. The Failures of the government, critics, corruption, personal means are not in favor of Pakistan. In 2012, If Pakistan marked a new province than be certain that soon you will hear a call for another one, which you lead to any policy and formula ” Divide and Rule ” .